This is called Ashy Ground-Thrush Zootherea cinerea in the Kennedy guide. This is an uncommon Philippine endemic. It measures 7 1/2 inches long. 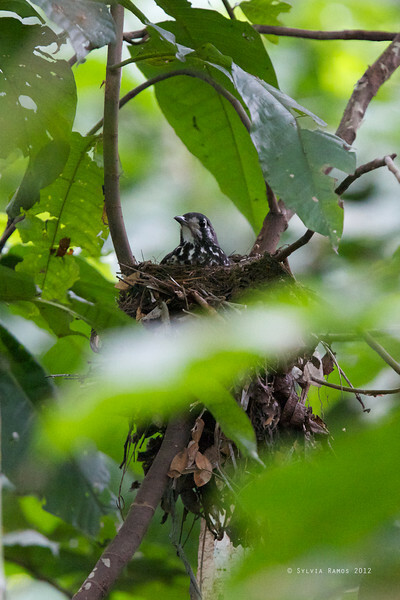 The Kennedy guide describes this bird as "uncommon, shy and hard to see ... poorly known" and "usually only seen at first light on a forest trail". We only recently saw this bird. The bird that was giving very good views was the young juvenile. It did not seem to be afraid of us, maybe they become more wary when they get older. We were excited to to see this species and we were able to observe them well. We got some pictures of an adult and a juvenile.